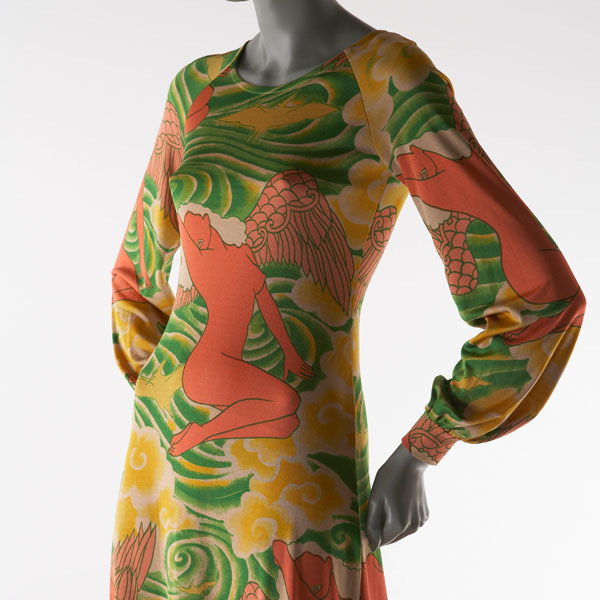 In the second half of the 1960s, U.S.A. was embroiled in major social upheaval with the hippie movement and civil rights movement. 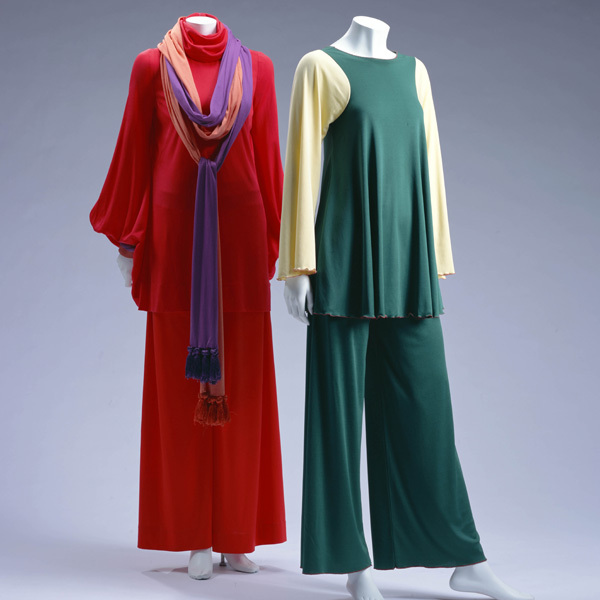 These garments are by two of the earliest designers to catch those trends. 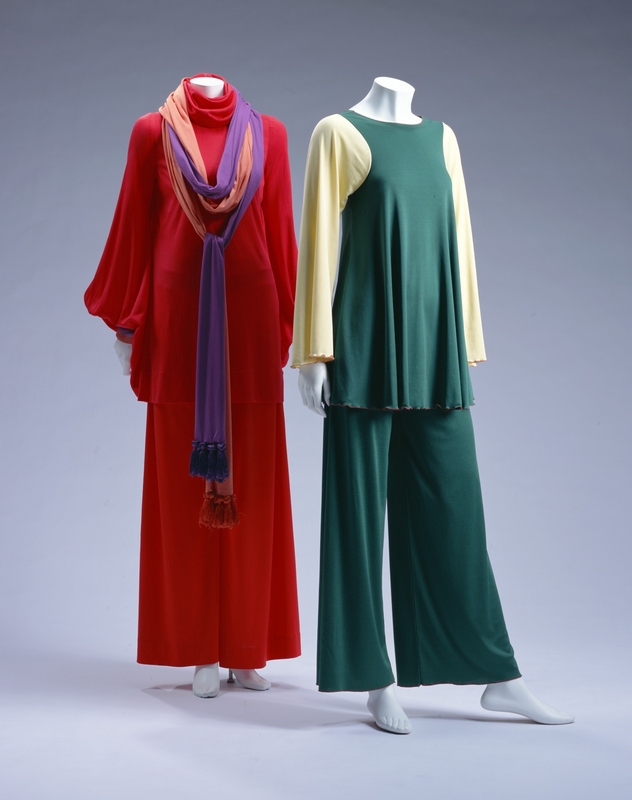 The tunics and pants in stretchable tricot are conducive to activity, and have vivid accents added to combinations of simple clothes in bright colors. 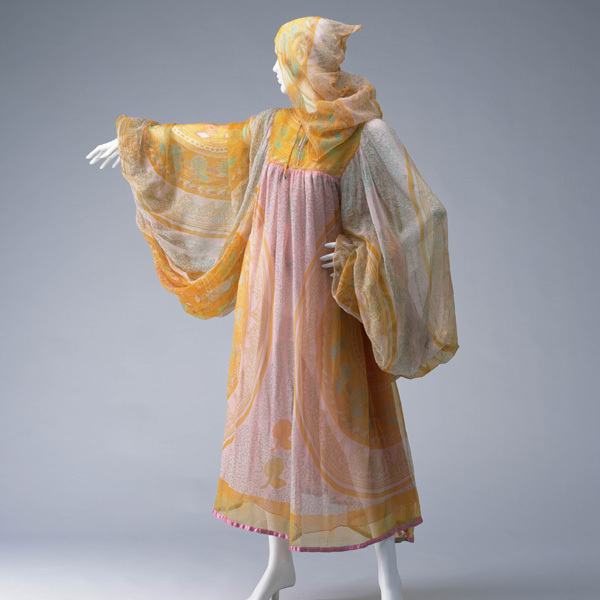 Giorgio Sant’ Angelo was born in Italy and studied architecture at the University of Florence. 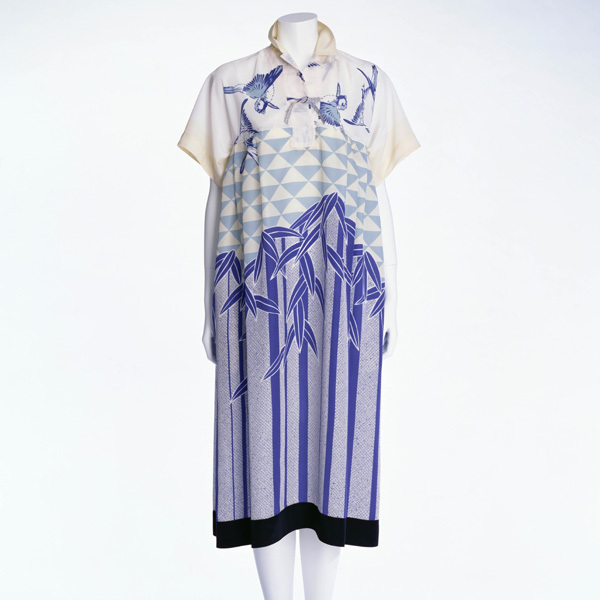 Later, he moved to the U.S.A. to become a Disney animator, before working in areas such as textile design. 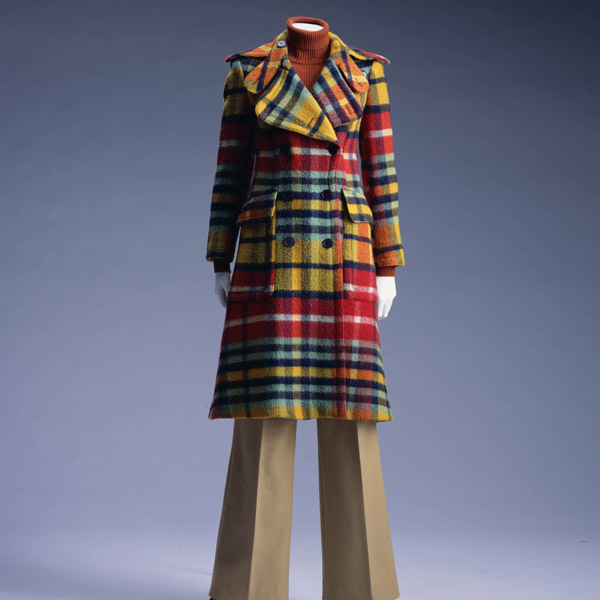 He began to design ready-to-wear in 1966. 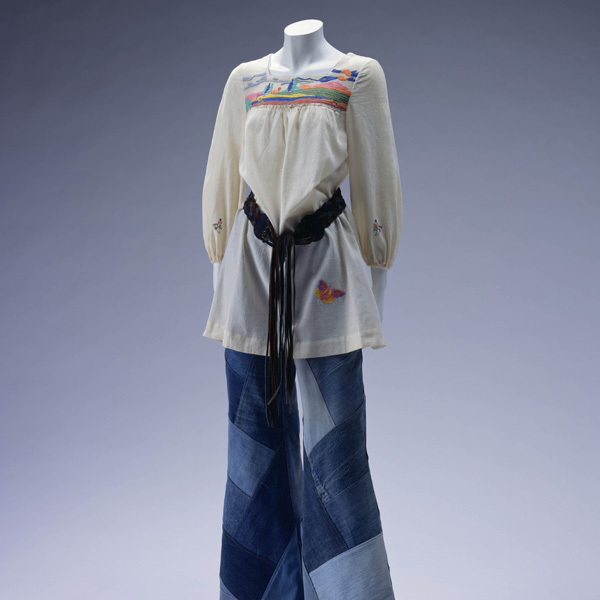 With hippie style at a peak, he developed ethnic fashion, fusing elements from the local dress of many different countries. 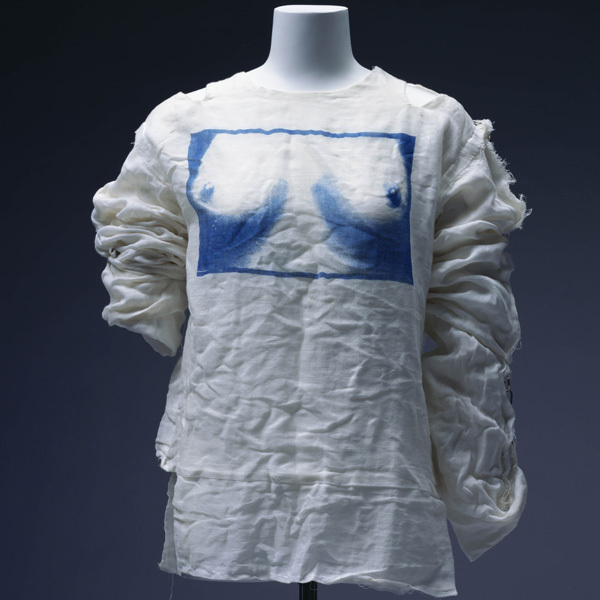 In addition to decoration, he experimented with new approaches to cutting instead of sticking to traditional methods. 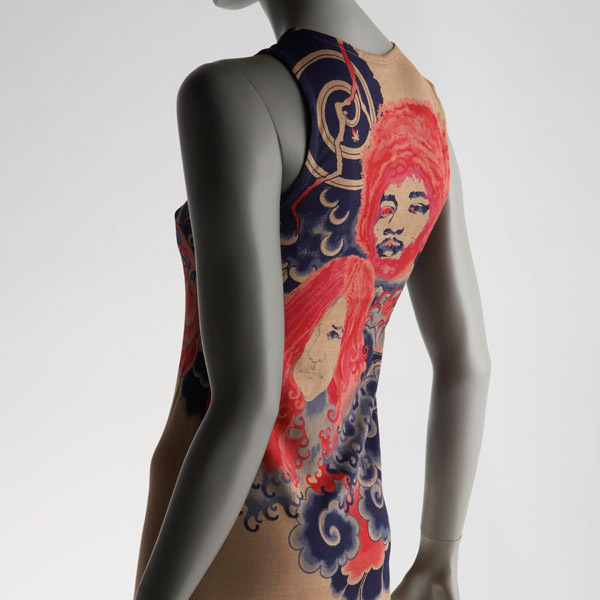 Stephen Burrows was the first internationally successful African-American fashion designer. 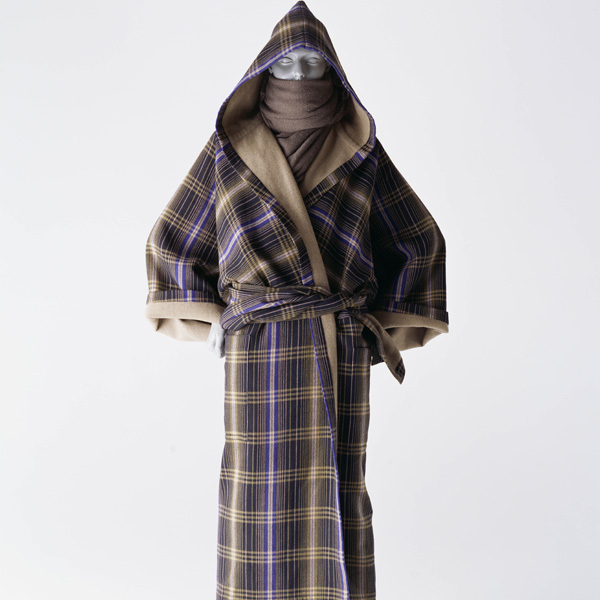 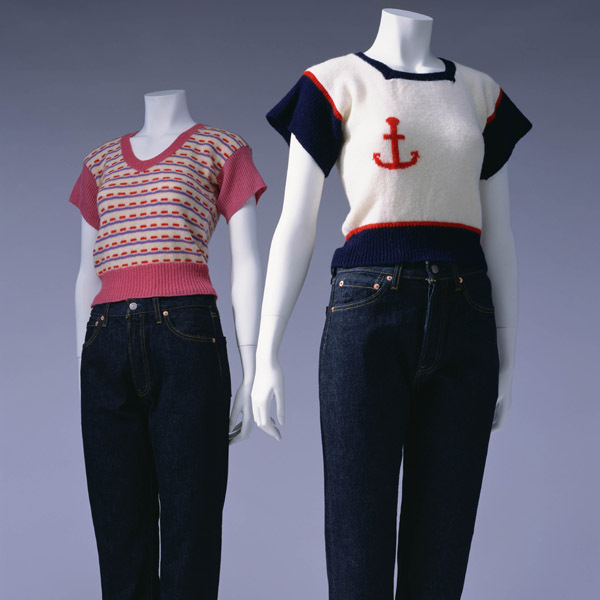 He studied at New York’s Fashion Institute of Technology, then first became involved in ready-to-wear design in 1968. 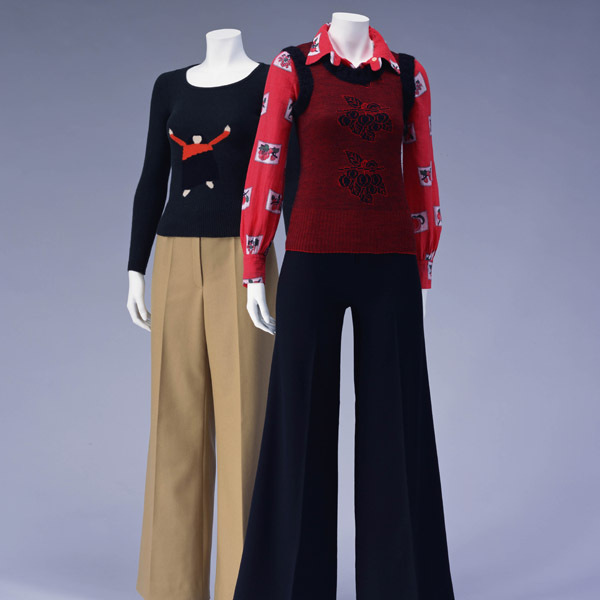 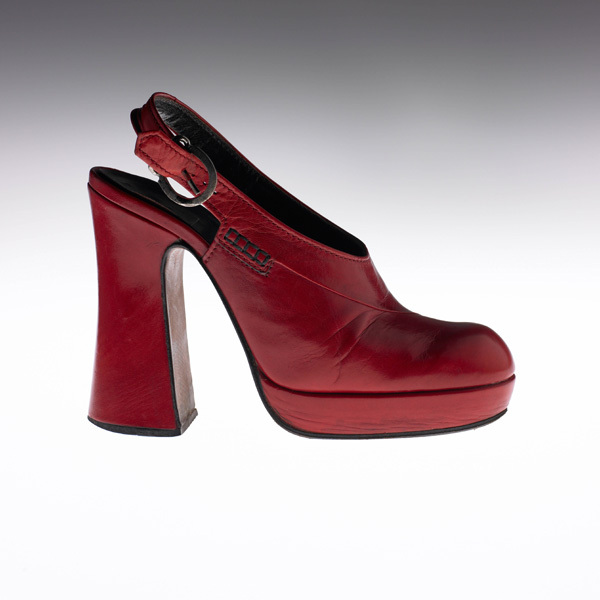 At a time when soul music was popular and interest in black fashion was rising, Burrows created urban fashions that made heavy use of brightly-colored jersey and knits, ideal for disco dancing. 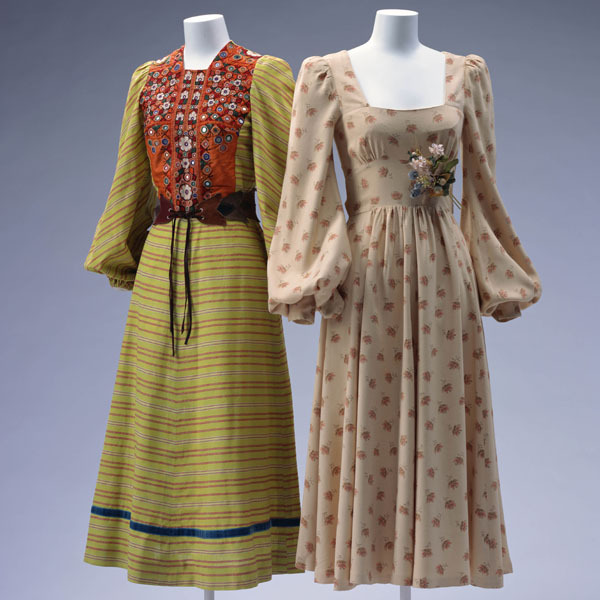 These two designers had different cultural backgrounds, but they both worked outside the range of the conventional Western approach, creating ideas for fashions that permitted energetic movement instead of blindly following Western clothing traditions.